I’m not going to attempt to provide a review of Schindler’s List because frankly it’d be a waste of time. It is clearly one of the greatest films ever made and to offer my semi-professional opinion on it as a film would be unfair to Mr. Spielberg. 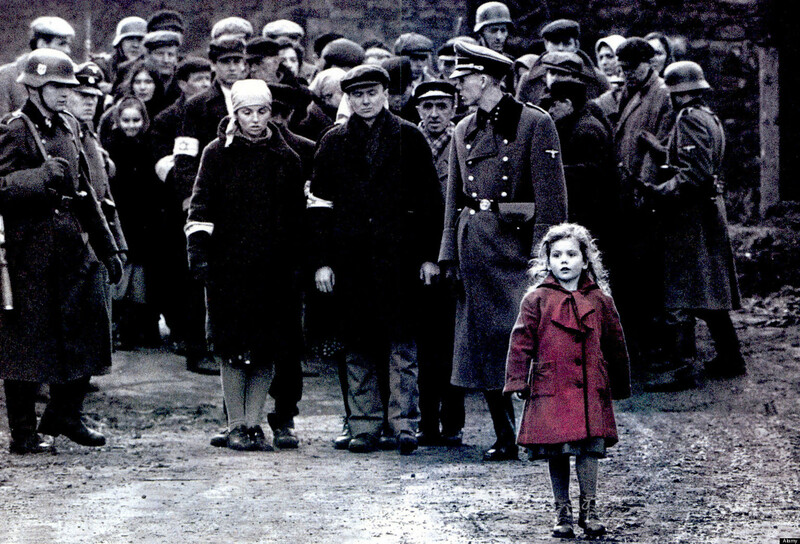 Suffice it to say Schindler’s List is brilliant. As are the performances by Liam Neeson, Ralph Fiennes and Ben Kingsley. Instead, what I’d like to offer is my opinion on the purpose of film in general. Because let’s be honest, Schindler’s List is not entertaining and I have argued on this blog before that the main purpose of movies is to entertain. When I saw Schindler’s List I walked out of the theater looking like I’d been run over by a train. I was emotionally drained and disturbed. I swore to myself I would never see it again, despite believing that the film was so important that everyone in the world had a responsibility to see it. I didn’t want to see it again because as someone who grew up in the Jewish community I had had my fill of Holocaust education. I knew everything I needed to know about these tragic events and, well, “never again.” Of course, Schindler’s List added the previously unknown story of Oskar Schindler and the Schindler Jews, but once I knew that story I didn’t want to be reminded again about the Nazis. But I have been pretty true to watching these AFI films again, and in order, so I carved out three hours recently and watched it again. So is the purpose of film to entertain? As I said above, I have used “lack of entertainment” as an excuse for why I haven’t enjoyed some of the films on the AFI list. But in the past couple of days I have seen several films that reminded me that film is art and art can also be educational. In some cases, art can even be revolutionary. In that context, Schindler’s List is as important a film as has ever been made. If art can cause a sea change in ideas and understanding, then that too is a worthwhile purpose. Entertainment is important, but so is providing understanding and empathy and knowledge and context of history. So for that reason I can say Schindler’s List is one of the most important films ever made and if being important is a measure of art then Schindler’s List is also a great film — even though it is not “entertaining” in the popular sense. Ultimately I go to films to be entertained, but as a lifelong learner I also go to films to be educated. Documentary films do this, but so does drama (fiction or based on true events). For example, just because Dances With Wolves is fiction does not mean it does not effectively educate viewers on the events surrounding the extinction of Native Americans. And of course, any drama is “based on” true events. Filmmakers take literary license and that’s ok. Even documentary filmmakers take license and spin stories to their narrative. I also watch films to be moved. I was thinking about this very thing the other day when I was coming out of a screening of Kill Your Darlings, which was based on true events. I loved the film, and I loved it because it was a tremendous story and I love a good story. I always say I like to be entertained, but what I really mean is that I love to be taken on a journey. It’s why I love to read fiction and why I love movies and even story-driven television shows. And it’s why I have spent close to two years now watching every damn film on the AFI top 100 list!